Directed by Tom Shadyac. 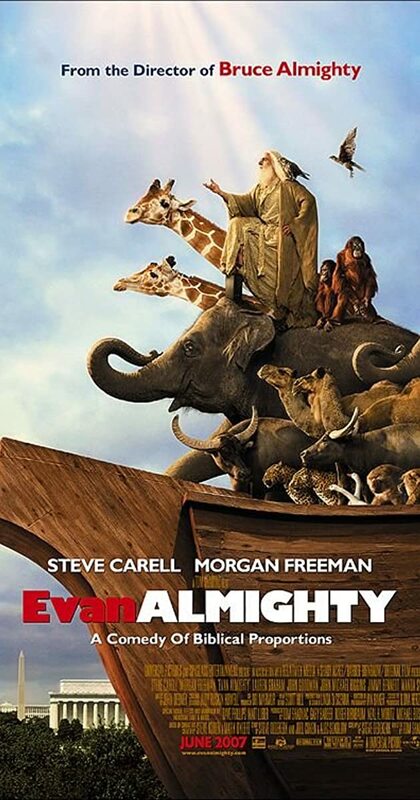 With Steve Carell, Morgan Freeman, Lauren Graham, Johnny Simmons. God contacts Congressman Evan Baxter and tells him to build an ark in preparation for a great flood.